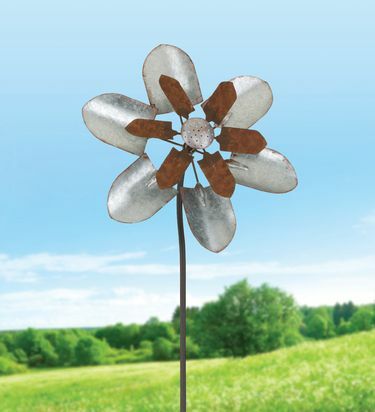 Any gardening fiend constantly digging holes for new plants will love this quirky and fun 70" Tall Diggity Wind Spinner! This all metal spinner features two independent sets of blades that spin in opposite directions. Also comes with a sturdy 3-pronged fork at the base to secure the spinner to the ground. Makes a great whimsical garden gift! Size: 19" x 70"H., Metal.